And now she's freezing her eggs! And while many have been sombre as she discusses her ongoing battles with PTSD - there have been some good things in the past year for the 35-year-old. Here she speaks with NW about her dramatic weight-loss and what's next. Tell us what you've been up to since the show? Ahhh, well... It went really bad. After the show, I had a total breakdown basically. Don't worry about it – it completely retriggered my PTSD. It was really bad... I attempted suicide twice. My parents paid for me to go to a trauma centre in March  and I spent a month there. Since then I've been just getting better and now I've been really well! We're so happy to hear you're doing much better! How has your love-life been going since the show? Yeah, so I'm still single, but just starting to get myself back out there. And I'm about to freeze my eggs! I start the process and medication and everything this month. I have to get off the Pill first, then they'll be taking the eggs and harvesting them in February. Basically this has been my Christmas present to myself! Are you thinking about doing it on your own? Ah, yeah! I definitely would try. I mean, I'm pretty confident about doing things on my own. Congrats – sounds like this year is going to be quite a big year for you! Wow! How'd you do that? Exercising, but mostly it's your cortisol levels, which are your stress hormones. When someone has PTSD or something like that, your body goes into fight or flight mode, so [since I've been better] a lot of it has fallen off. But being able to walk again – and walk up to 10 kilometres again, like I used to – and eating better because I can stand up for a minute, rather than just ordering takeaway, it's been a real year of change. It's been a tough week for our former Married at First Sight stars. 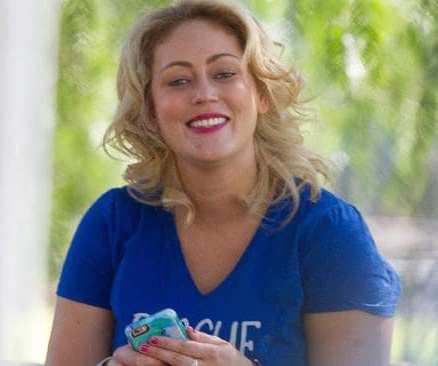 On Thursday, former cast members woke up to discover that they had been blocked from the official MAFS Instagram account and on Friday, Clare took to Instagram to vent her frustration. The season two alum says it's become so tough to appear on the show that all current and former contestants need a "MAFS survivors support group". Clare was controversially paired with Jono Pitman, a man with a violent history who admitted to assault and recklessly causing injury to a man during a bar brawl in 2008, even though producers knew she had a history of abusive relationships and domestic violence. Clare suffers from PTSD following a physical assault incident just months prior to filming. "We need a #MAFS survivors support group. Well, a few different ones as we were purposefully manipulated to go for each other when we were at our weakest rather than turn the magnifying glass in Nine," Clare wrote on Instagram yesterday. "They blocked me as well, as soon as our season hit the air. I attempted to take my own life as I just fell to pieces after they show," she wrote. After the story was widely reported on, Clare deleted her Instagram account. For more Married at First Sight gossip and exclusives, pick up a copy of this week's NW magazine.